Our process today is the modern version of the way these natural fiber wool rugs were cleaned through the ages. In SHAMPOO method, detergent solution is released onto the carpet through openings in a rotary brush, whose rotary action converts the solution into foam and works it into the carpet. 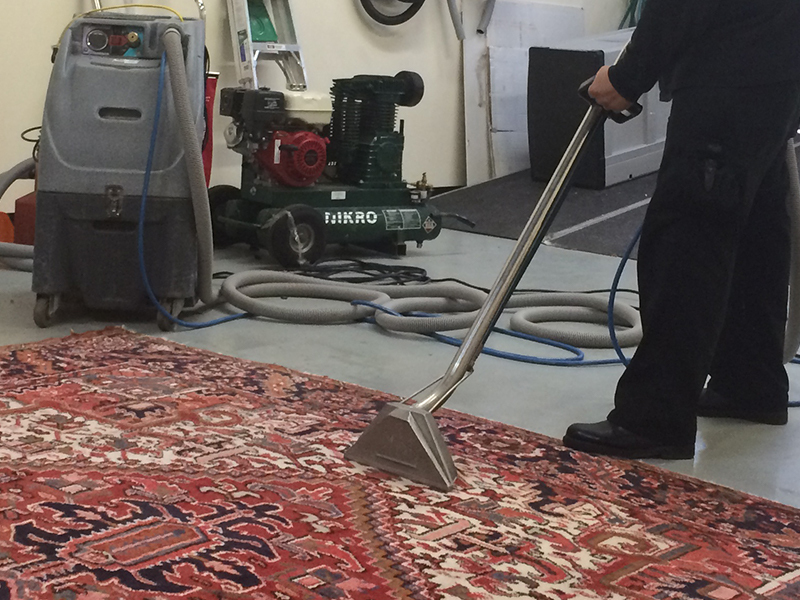 Once dry, vacuuming removes the residue containing loose, encapsulated soil. 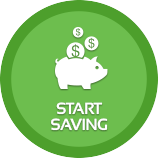 At times, chemicals may be added to the detergent solution to reduce odors, retard soiling, brighten colors and/or speed drying. We then test the rugs for color bleeding. If the rug is determined to be a bleeder, a color block is applied to lock in the color. In step three, the rug is submerged in the fresh water wash pool. 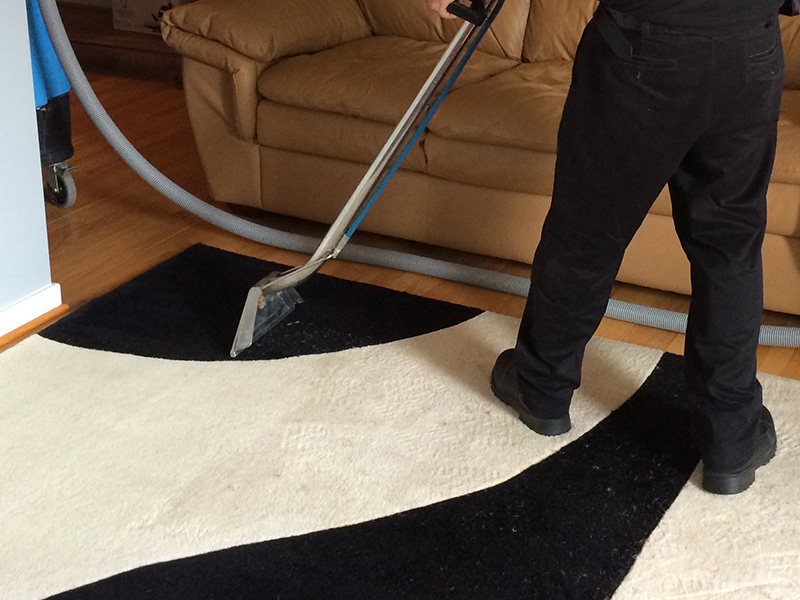 Here we actually hand wash the rug with all natural cleaners while fresh water is continually rising the rug. 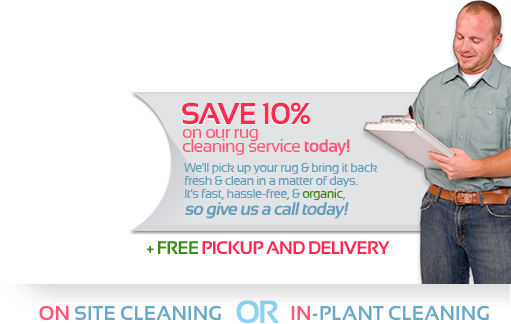 To thoroughly remove the most difficult odors from the rug, we can do a decontamination bath. 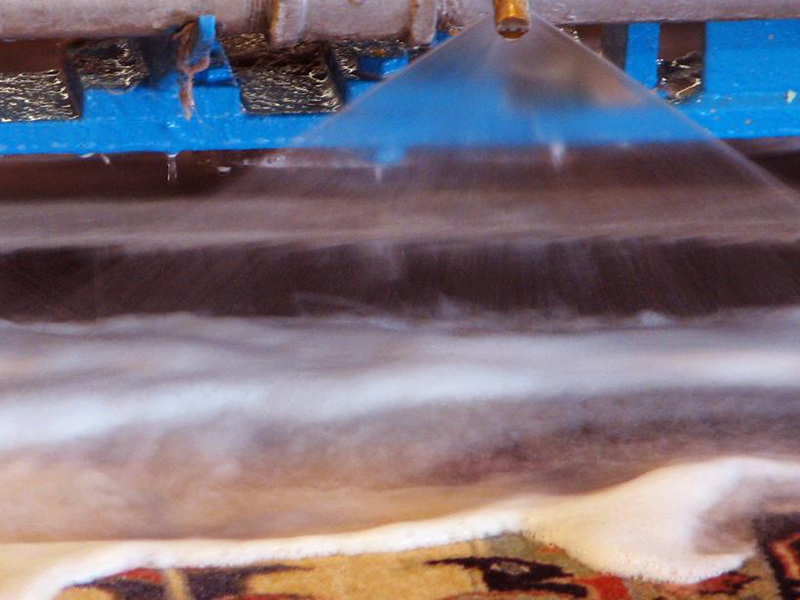 During this safe bath, heavy rollers go back and forth over the surface of the rug, forcing the fibers to release the deeply imbedded odor and then drink in fresh water. Rinsing the rug is very important. 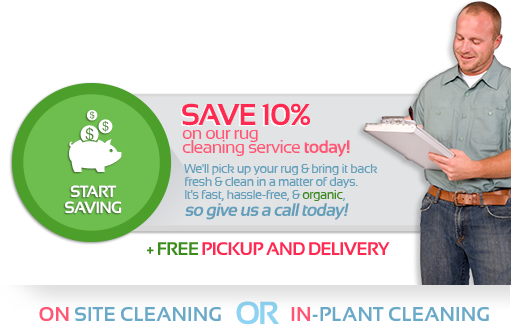 We thoroughly rinse the rug to remove the entire residue out of the rug making your rug look and feel clean! After a final rinse the rugs are hung in the air to dry. 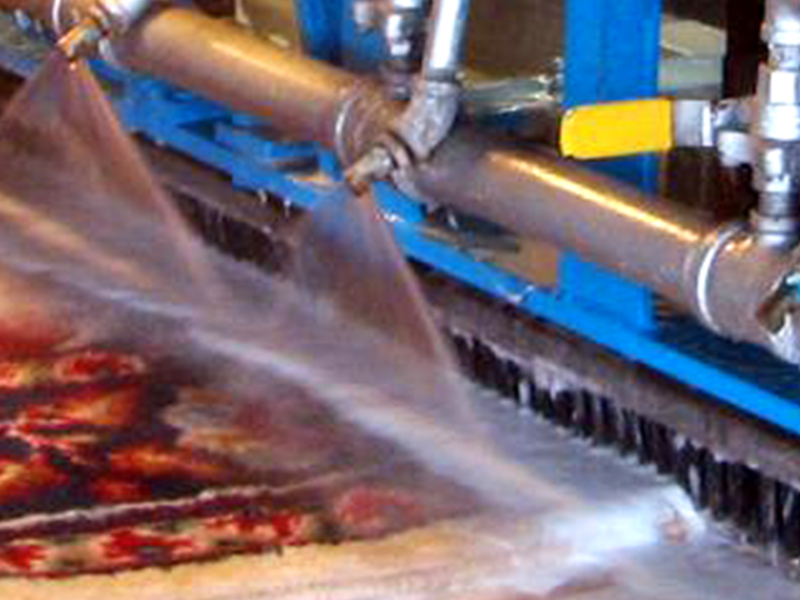 The triple level of fans and climate control assure this is a quick and thorough drying process. 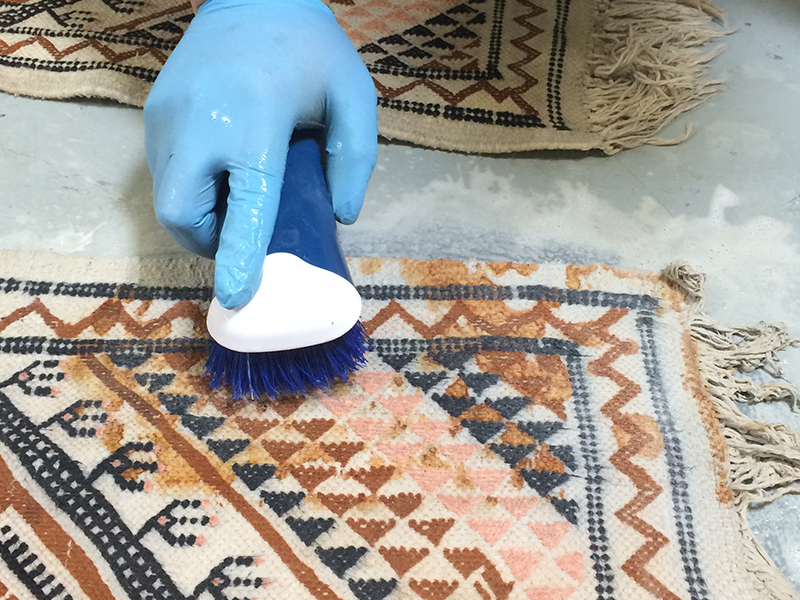 Next, we work on cleaning the fringe, restoring it to its original color and luster. 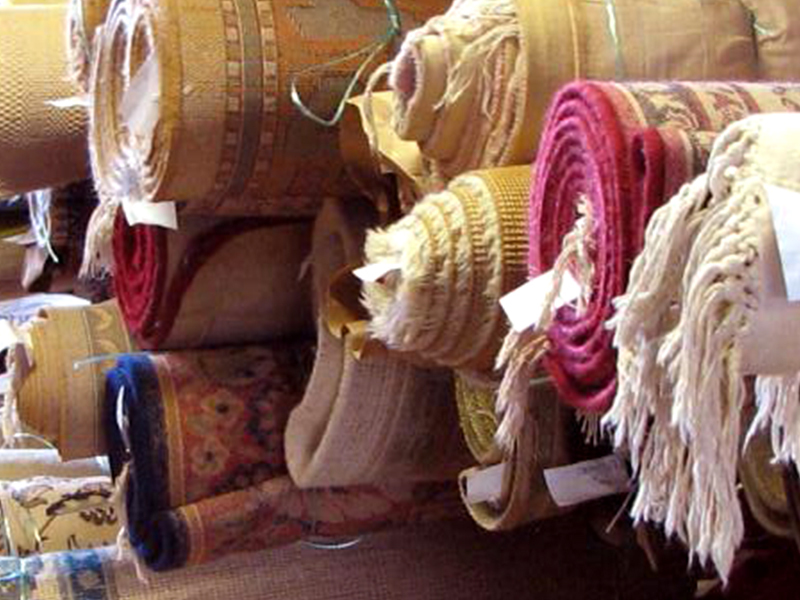 The last step, when the rugs are dry, is the grooming of the rug pile and fringe. Finally, each rug is individually wrapped and ready for delivery. 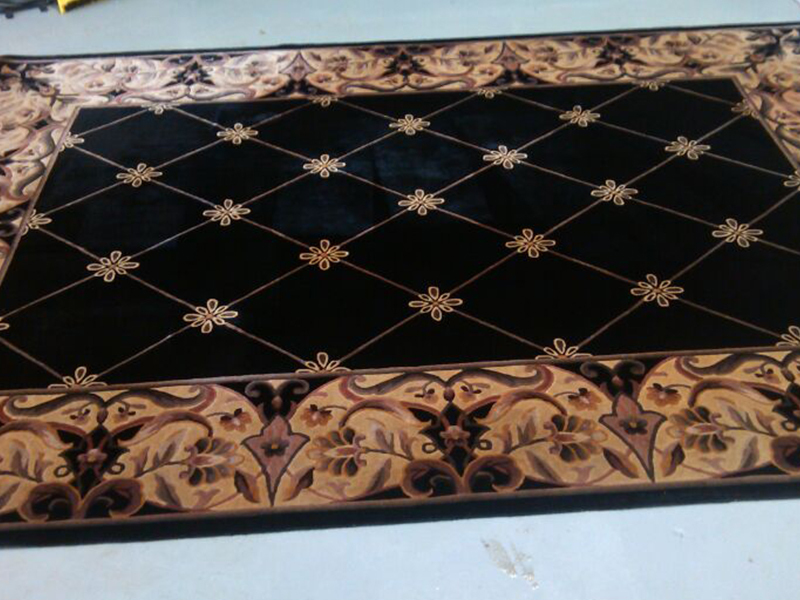 We will help you place the rug in your home too.